Windsor and Maidenhead Lib Dems initiated the Community Warden scheme in 2004. 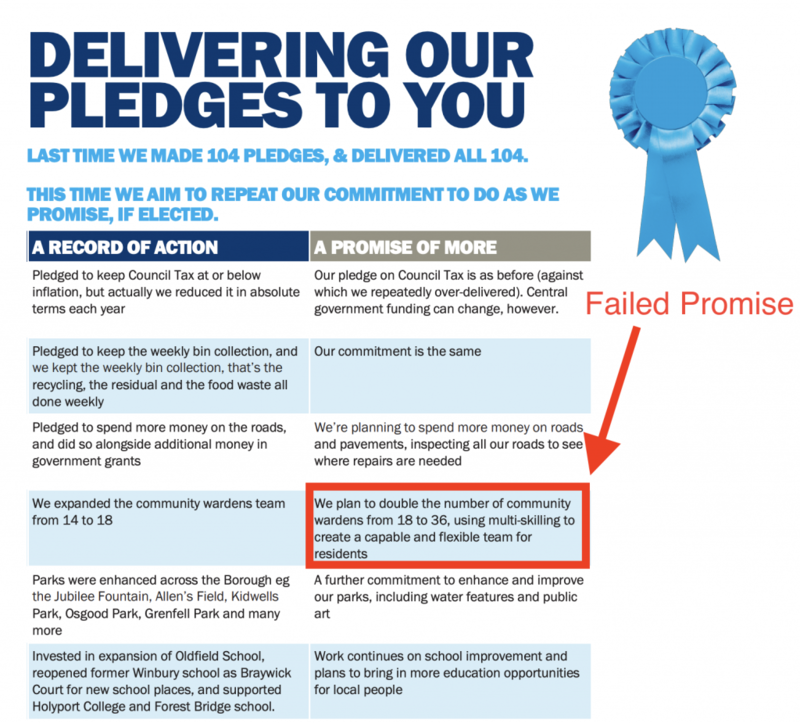 The Conservatives liked it so much, they promised to increase the number of community wardens from 18 to 36 in their 2015 manifesto. 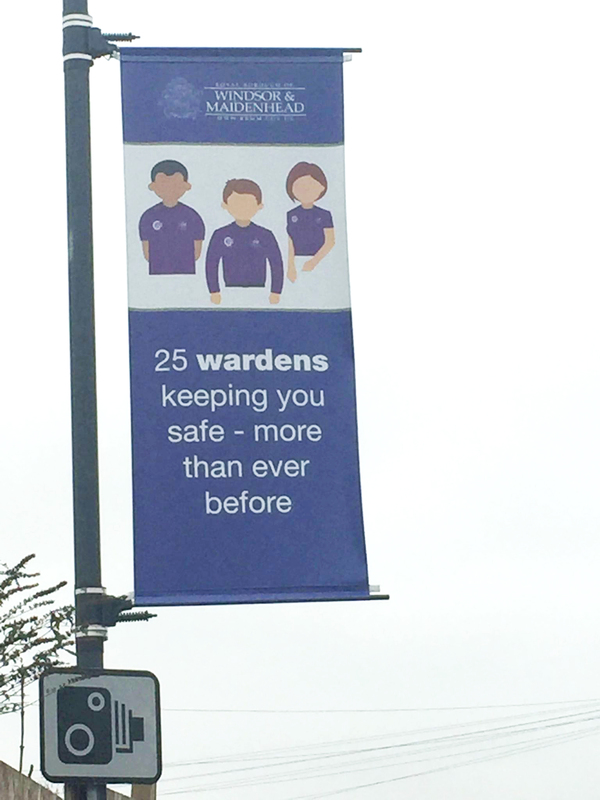 This was one Tory pledge we could really get behind — RBWM’s community wardens work tirelessly in the community to keep people safe and to promote the activities of the Royal Borough. Unfortunately, as evidenced by the Conservative council’s own lamppost banners, this administration has come nowhere near its own target.